Image of hokie stone and memorial tribute for Virginia Tech ESM professor Kevin P. Granata. 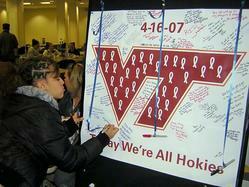 Photo taken February 14, 2008 at the memorial on the drillfield. 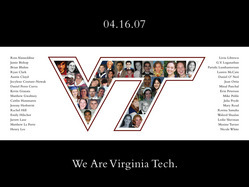 LUV CNU - "Children of April"
Virginia Tech Video Tribute - Tragedy 4/16/07 - "Fix You"